Established in 1988 by Managing Director John Gaggiano, JPS Coatings is proficient in all domestic, commercial and industrial aspects of solid plastering and rendering. Because we manufacture our own wide range of top quality products, we are a convenient one stop shop. We are confident our products and services are second to none. John Gaggiano and his team have years of experience which translates into quality workmanship and professionalism. John began his career as a painter in 1979, progressing to become a respected member of the Master Painters’ Association. He later switched to solid plastering and is a member of the Solid Plasters’ Association of Victoria. When Wattyl Granosite, a manufacturer of texture coatings was trying to establish itself in the Victorian market, they chose John and JPS Coatings as one of their preferred, approved applicators. “My background speaks for itself. JPS Coatings has a good reputation which we want to safeguard. We maintain all batch records off all the textures manufactured & our computerised tinting formulation system ensures you state of the art colour stability. 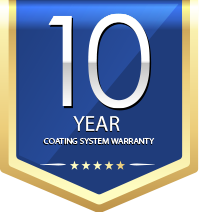 We stand behind our high quality products and we can offer clients up to 10 years guarantee. Our mission statement is that we are committed to being a leading manufacturer and supplier of quality products in our field. Consistently providing a level of quality and reliability of supply, that will equal or surpass the expectations of our most critical customer”– John Gaggiano, Managing Director, JPS Coatings. JPS Coatings use “M Grade Polystyrene” that conforms to the AS1366 part 3.Unlike some suppliers and installers of Polystyrene sheets that use SL Grades. EIFS (sometimes referred to as “polystyrene cladding”) had its beginning in Europe at the end of World War II, and quickly became popular as a building material because of its ease of installation and efficiency. applications, and became popular as a residential construction material. Today EIFS buildings account for approximately 17% of the U.S commercial market and approximately 3.5% of the U.S residential market. The first company to manufacture EIFS in the United States was the Dryvit company, which is why EIFS is sometimes referred to as “Dryvit”. EIFS is a non-load bearing exterior wall finishing system that gives the building a rendered stucco-like appearance. Panels of expanded polystyrene foam are screwed to the substrate or vapor barrier. - A base coat that is troweled over the foam panels. - A fiberglass reinforcing mesh that is laid over the polystyrene panels and fully embedded in the base coat. - A Finish coat that is troweled over the base coat reinforcing the mesh. - Selected textured finish in the required colour. There are two basic types of EIFS currently in use in the US, barrier and water-managed. Barrier EIFS is designed to divert all water from the exterior surface (similar to the method used here in Australia). Water-managed EIFS anticipates that some water will penetrate the surface and incorporates redundant water-management features (flashing, weeping, drainage plane and water-durable substrates) to ensure that water that breaches the exterior finish will quickly exit the system. 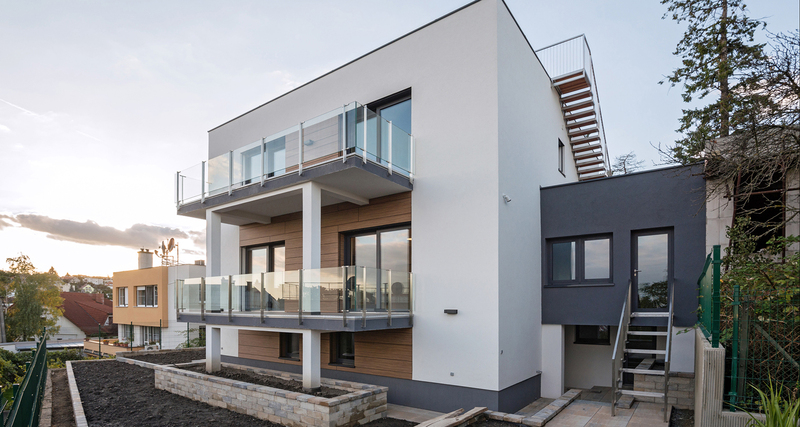 Most EIFS clad homes in the US are barrier EIFS systems. The advantage of EIFS as a finishing system is that it is energy efficient and economical to install.